The 22nd annual largest meeting of CPAs in New Jersey each year. 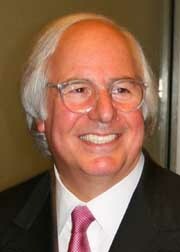 Mr. Abagnale has now been associated with the FBI for over four decades . More than 14,000 financial institutions, corporations and law enforcement agencies use his fraud prevention programs. In 1998 he was selected as a distinguished member of "Pinnacle 400" by CNN Financial News - a select group of 400 people chosen on the basis of great accomplishment and success in their fields. In 2004 Mr. Abagnale was selected as the spokesperson for the National Association of Insurance Commissioners (NAIC) and the National Cyber Security Alliance (NCSA). He has also written numerous articles and books including The Art of the Steal, The Real U Guide to Identity Theft and Stealing Your Life. 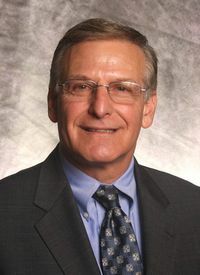 Joel L. Naroff, Ph.D., is the president and founder of Naroff Economic Advisors, a strategic economic consulting firm. He advises companies across the country on the risks and opportunities that economic developments may have on the organization’s operating environment. Mr. Naroff consults with banks on asset/liability, economic growth and credit risk issues, consults with corporations on economic risk and business opportunities, and is an economic and financial advisor to state and local governments. He has testified before Congress on economic and fiscal policy matters. A nationally recognized economic forecasting expert, Mr. Naroff has received numerous honors. In 2008 he was awarded the Lawrence Klein Award for Blue Chip forecasting excellence. He was also named the Bloomberg Business News 2008 top economic forecaster. In 2007, he received the National Association of Business Economists Outlook Award as the top economic forecaster, and in 2006, he was MSNBC’s top forecaster. He was the first independent economist to win the CBS MarketWatch Economist of the Month award. Mr. Naroff is often quoted in the national press including Newsweek, The Wall Street Journal, The New York Times, USA Today and Business Week. Internationally, almost every news agency around the world has quoted his materials. He appears frequently on CNBC, Fox Business News and Bloomberg Television. 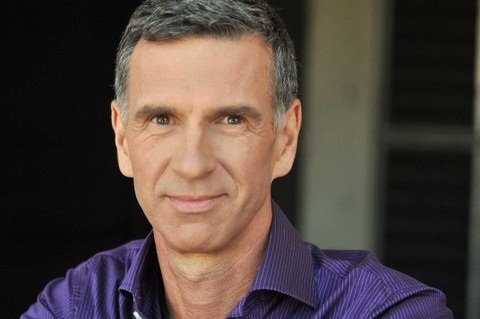 In addition, he has been on ABC’s World News, The News Hour with Jim Lehrer, The Wall Street Journal Report with Maria Bartiromo, BNN in Canada, Money Matters Today and local television stations throughout the northeast. Mr. Naroff does business commentary for KYW Newsradio in Philadelphia and can be heard often on the national news radio networks. From 1999 to 2009, Mr. Naroff served on a consulting basis as chief economist for Commerce Bank/TD Bank. He is a member of the board of directors of the Economy League of Greater Philadelphia, the Corporate Committee of the Philadelphia Orchestra, teaches at the Central Atlantic Advanced School of Banking, is a past chairman of the American Bankers Association’s Economic Advisory Committee and a past president of the Philadelphia Council of Business Economists. Mr. Naroff received a bachelor’s in economics and chemistry from Stony Brook University and a Ph.D. in economics from Brown University. James C. Bourke, Jr., CPA, CITP, is a Shareholder and Director at WithumSmith+Brown. Mr. Bourke is currently the President of the NJSCPA. He has served on the NJCPA Board of Trustees as secretary, as a member of the NJSCPA Litigation Services, Legal Profession Liaison and Committee Operations committees and as chairperson of the Chapter Operations Committee. Mr Bourke has served as president, vice president, secretary treasurer and director of the NJSCPA Monmouth-Ocean Chapter and also served as chairperson for various Monmouth/Ocean Chapter committees. In addition, he serves on the AICPA's CITP Credential Committee and is the current chair of their State Society Reach Out Committee. He is an active board member of the New Jersey Technology Council and serves on the advisory council of a regional bank. Mr Bourke is a frequent author on CPA firm technology issues for our industry's trade publications and speaks at many state society conferences and seminars throughout the country on topics or current technology trends in CPA firms, as well as the specific technologies effecting our profession. Bourke earned his B.S. in Accounting from Kean University. MB (Mary Beth) Raimondi, CPA, CITP, MS Taxation is an Advanced QuickBooks Certified ProAdvisor as well as an Intuit Solution Provider. She holds certifications in Enterprise and POS and is a Sleeter Group Certified Consultant and a member/instructor of the National Advisor Network. She is also a charter member of the Intuit Training/Writing Network. She has used QuickBooks since the DOS version and has been teaching QuickBooks nationally to both end users and accountants/consultants since 1999. The focus of her practice in Trumbull, CT has migrated from a full time tax and accounting practice to mainly QuickBooks consulting, 3rd party integration and training. 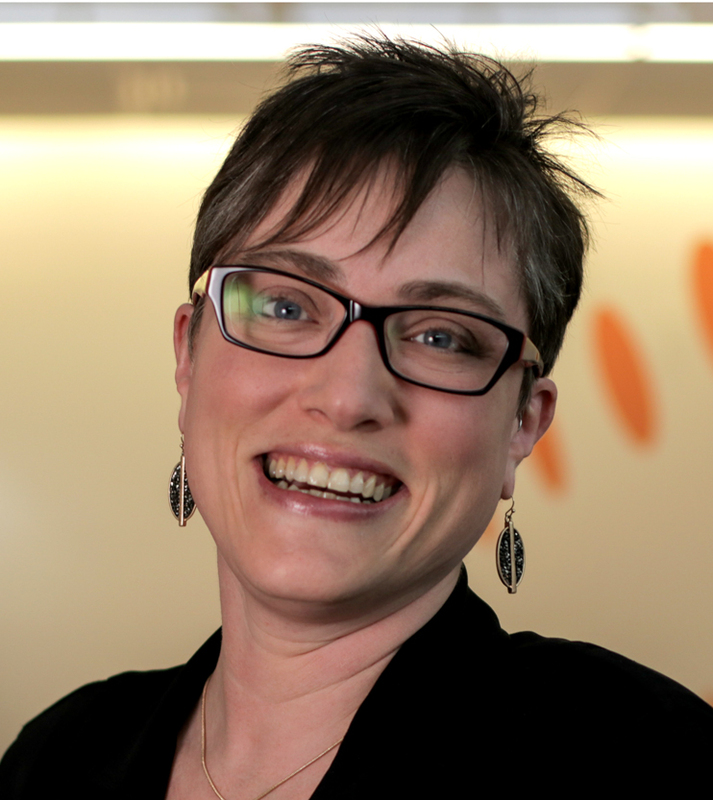 Christina E. Wiseman, MBS serves as Product Manager, Web Services & Mobile Technologies for the Professional Tax & Accounting business of Thomson Reuters. With over 15 years of experience in the profession, Christina is passionate about working closely with tax and accounting firms to deliver quality web and mobile solutions to the profession, managing new product launches, competitive intelligence, product positioning, pricing, customer retention, and marketing. She holds a master’s degree in IT Management from Colorado Technical University and a bachelor’s degree in Management Information Systems, and is a certified product management professional accredited by Pragmatic Marketing. Bob is a recent past President of the National Conference of CPA Practitioners and served as Chair of the Issues Committee. Bob recently completed a term as a member of the AICPA Council. Currently, Bob is a member of the New York State Board of Accountancy with a term ending on October 31, 2016. He was included in Accounting Today's listing of the 100 Most Influential People in Accounting for two years. 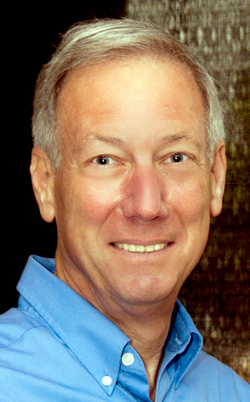 Bob is a certified financial planner, a certified fraud examiner, and a Principal at Janover, LLC. He was recently recognized as "Businessperson of the Year" for his service while president of the Great Neck Chamber of Commerce. Bob was Tax Manager with Price Waterhouse and then headed his own firm before becoming the Managing Partner in the firm Schoenfeld Mendelsohn Goldfarb, LLP. Bob recently merged into Janover, LLC. Bob is a Diplomat of the American Board of Forensic Examiners, Diplomat of the American Board of Forensic Accounting, a member of the American Institute of Certified Public Accountants and a member of the New York State Society of Certified Public Accountants. Author of six books, Bob holds degrees from Hofstra University, Pace University and Adelphi University, where he served over 20 years as a senior adjunct professor. Bob has raised over $30,000 for the Leukemia and Lymphoma Society by participating in triathlons and over $15,000 on bicycle rides from Boston to New York for Aids Research. He recently completed an Iron Distance Triathlon in Sandusky, Ohio. Sandra G. Johnson, CPA, EA, CFE is Managing Partner at Johnson, Kass & Greenberg, CPAs located in Melville, NY. Sandy is the President of the National Conference of CPA Practitioners. 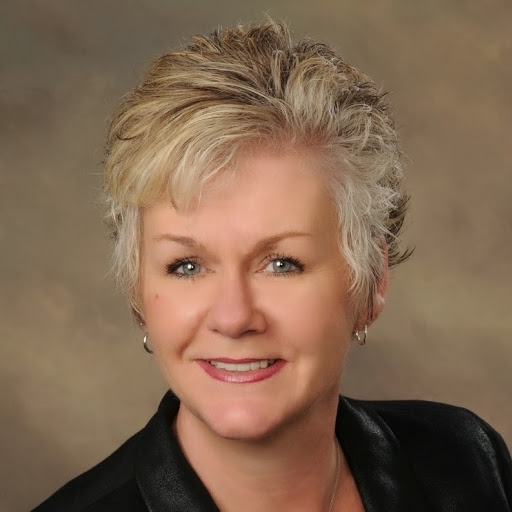 She is a member of the AICPA, NYSSCPAs and the Association of Certified Fraud Examiners. Sandy is Past President of the Long Island Center for Business and Professional Women and Past President of the Chamber of Commerce of the Bellmores. Sandy is a frequent lecturer on topics ranging from Small Business Management to Marketing a Small Business to Year-End Tax Tips and more. Sandy regularly lectures for the National Conference of CPA Practitioners, NYSSCPAs, Flagg Accounting Shows, Texas Association of CPAs, Hofstra University’s Continuing Education College, C W Post Continuing College, NYS Small Business Development Center and various local clubs and organizations. She is a former professor of Accounting and Business Management for the State University of New York and Five Towns College. Sandy graduated from SUNY College at Old Westbury with a BS in Accounting and is currently a Certified Public Accountant, an Enrolled Agent with the Internal Revenue Service and a Certified Fraud Examiner. Sandy is proud to be named one of the Top 100 Most Influential People in Accounting by Accounting Today in 2015. She is the 2007 recipient of the Nassau Council of Chambers of Commerce Small Businessperson of the Year award, the 2010 recipient of the Town of Hempstead Pathfinder Award in Business, 2010 recipient of the NYS Assembly Women of Distinction Award, and a 2010, 2011 and 2012 winner of the LI Press Best of LI contest. Gary Olynik, CPA, CMA, is an experienced accountant and educator in best practices and emerging issues affecting the accounting profession. Gary has acquired over 30 years of experience as a senior financial professional maximizing the profitability of organizations through strategic planning and implementation of initiatives. As a consultant, he has coached numerous small to medium businesses to improved profitability and increased efficiency of operations by providing value added business management services. He has drawn on this wealth of experience to educate new and emerging accountants as an instructor at the college level and as a moderator for the CPA professional accreditation program. Alan J. Preis, CPA, principal in Alan J. Preis, CPA, PC, conducts a practice limited to state and federal tax matters in Florham Park, New Jersey. Previously, he spent more than twenty years in the Parsippany, New Jersey, office of Deloitte & Touche, where he was a tax partner concentrating in New Jersey and multistate tax matters. Mr. Preis is a professional resource to CPAs, attorneys and businesses in matters of New Jersey and multistate taxation. He lectures on state tax matters and is recognized as an outstanding instructor by the American Institute of Certified Public Accountants and as a Distinguished Discussion Leader by the New York State Society of CPAs (NYSSCPA) Foundation for Accounting Education. Mr. Preis is the co-author and instructor of a full-day course on New Jersey taxes presented annually for the New Jersey Society of Certified Public Accountants (NJSCPA). He has chaired the NJSCPA State Taxation and Multistate Taxation committees, as well as the NYSSCPA Interstate Taxation Committee. He is a member of the AICPA Tax Division and has served on its State and Local Taxation Committee. Mr. Preis served on the Taxation Committee of the New Jersey Business and Industry Association and Governor Codey appointed him to the New Jersey Sales and Use Tax Review Commission. He received a B.A. from Columbia University and an M.B.A. from the Wharton Graduate Division of the University of Pennsylvania. Gail Perry is the U.S. Editor-in-Chief at Sift Media and oversees the content on two web sites: AccountingWEB.com and GoingConcern.com. 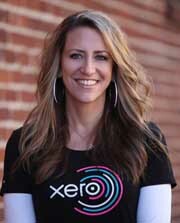 She also speaks at many accounting events, trade shows, and web seminars. Perry is the author of 30 books (the latest is Mint.com For Dummies), teaches an online personal finance course, and maintains a small tax practice. She is a graduate of Indiana University where she got a bachelors degree in journalism. She returned to school to study accounting at Illinois State University, got her CPA, and worked for Deloitte in the Chicago tax department. She also taught a college-level introductory accounting class and was on staff at the Indiana CPA Society as a computer applications instructor. Gail was a contributing editor for Accounting Today magazine for five years and a newspaper columnist for the Indianapolis Star before taking over the helm at AccountingWEB. Sean is a partner with Bederson LLP, managing team members in the Insolvency and Litigations Services group, which specializes in Bankruptcy, Insolvency, Forensic Accounting and Litigation Services. His bankruptcy experience includes providing financial and related advisory services to Chapter 11 and Chapter 7 Trustees, Unsecured Creditors Committees and Debtors-in-Possession including fraud investigations leading to recovery of assets. His forensic investigation experience includes reviewing and analyzing the Arena Lease Agreement by and between the Housing Authority of the City of Newark and Devils Arena Entertainment LLC and the Redevelopment Agreement by and between the Housing Authority and Devils Renaissance Development LLC. While involved in other forensic investigations, he has worked closely with the Internal Revenue Service Criminal Investigation Division, the Postal Inspector's Office and the Office of the United States District Attorney. His litigation services include accounting malpractice defense, matrimonial and shareholder disputes as well as assisting fiscal agents and receivers in monitoring and overseeing various entities. 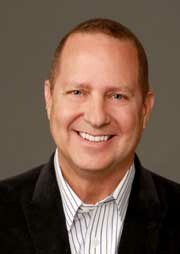 Mark Malinowski has over 16 years working in both the banking industry and as a law enforcement professional conducting financial crimes investigation, detecting fraudulent activity within public and private organizations and designing fraud prevention programs for various business and government agencies. Mark Malinowski is currently a Detective Sergeant with the Ocean County Prosecutor’s Office, supervising the Economic Crimes Unit. This unit investigates financial crimes, internal affairs, corruption and organized crime activity along with supplying financial crimes investigation support to both the homicide and narcotics units. He was deputized as a US Marshal/IRS Special Agent from 2007-2009, while investigating an international gambling and money laundering operation. He was a member of the Ocean County Regional SWAT team from 2009-2011. These financial investigations have provided him with the expertise to locate and secure the documentation needed to perform the financial data analysis of financial institution accounts and corporate financial statements, which are essential for court testimony. He has testified in New Jersey Superior Court as the lead detective for several complex white-collar crimes investigations. These career experiences have provided him with a vast knowledge of how financial crimes are perpetrated along with the ability to analyze financial data to prevent, detect, investigate and prosecute the various levels of worldwide financial fraudulent activity that impact all types of businesses. He has earned a Master of Science degree in Financial Fraud and Forensics from Carlow University and a Bachelor of Science degree in Business Studies with a concentration in Marketing from Stockton University. He holds the professional certifications as a Certified Fraud Examiner (CFE) and Certified Anti- Money Laundering Specialist (CAMS). In addition, he has completed all the courses and professional experience requirements to sit for the Certified Public Accountants exam in the State of New Jersey. 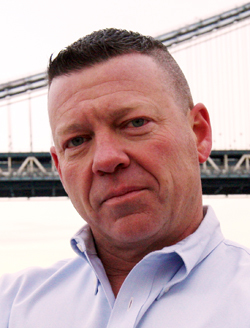 In addition to the above information, Mark Malinowski is a certified State of NJ police instructor who teaches at the Ocean County Police Academy training recruits in the areas of fraudulent documents, financial investigations, internal affairs, money laundering, organized crime, and the financial exploitation against senior citizens. In 2013, Mark Malinowski established Framework Financial, LLC, which specializes in the development of anti-fraud educational seminars and fraud risk assessments for all types of businesses and public sector agencies. This led him to be the instructor and designer of the Certificate in Financial Crimes Investigations program held at Stockton University’s Center for Public Safety & Security. He has presented as a subject matter expert for several private companies and is currently an adjunct instructor at several colleges throughout the country on the topics of financial crimes, money laundering investigations and locating hidden assets. Glenn is the Managing Director of Greystone Intelligence. Greystone Intelligence is a unique firm providing Governance Risk and Compliance Advisory Services combined with full investigation capabilities aimed at corporate investigations, cyber security, forensic accounting and enhanced due diligence. Corporate Survival from M.I.T. (MA). His professional certifications include CFE and CGEIT (ISACA) and CMC. He is currently working on his Certification in Cyber Intelligence from the McAfee Institute. Glenn is a frequent presenter and instructor on Risk and Compliance Topics. His most recent presentations were for Compliance Week’s EU Conference in Brussels, Belgium and conducting D&B’s Compliance University in Toronto, Canada. Andrew J. Frisch, who represents white collar defendants in criminal and SEC enforcement cases, will discuss the challenges of defending charges of accounting fraud against former employees of Bernard L. Madoff Investment Securities LLC and others in highly-publicized cases. Mr. Frisch’s clients include Madoff’s Director of Operations and the Chief Financial Officer of Dewey &LeBoeuf, LLC, who was recently tried on 106 criminal counts, all resolved with acquittals, dismissals or deadlocks. Michael has over 28 years of professional law enforcement experience performing forensic, examinations and analysis in support of a variety of white collar crime and fraud investigations. His investigative expertise includes Corporate, contract, health care, bank, business, bankruptcy, government and procurement fraud, as well as bank failure, money laundering and asset forfeiture. Michael has also investigated and supervised counterterrorism and counterintelligence investigations. Before joining WeiserMazars, Michael spent more than 25 years with the Federal Bureau of Investigation (FBI) rising to the position of Assistant Special Agent in Charge (ASAC) of the Newark Division. He supervised a variety of investigative programs including management of crisis situations involving multiple agencies while also managing million dollar financial budgets for programs and operations. Michael was the ASAC of the Intelligence Program, where he led the Newark Division through the establishment of new FBI Foreign and Domestic Intelligence Collection requirements and, previously, ASAC of the Newark Division’s busiest Criminal Branch program. More recently, Michael was the Deputy Assistant Inspector General to the Special Inspector General for Afghanistan Reconstruction. He was stationed in Afghanistan,where he launched compliance programs and investigative operations targeting money laundering, fraud and corruption which had become endemic to the Afghan reconstruction effort. Michael was also an investigator with USAID-OIG in Afghanistan focusing on Contract and Procurement Fraud resulting in the loss of millions of U.S. taxpayer dollars. Michael also worked for the Special Inspector General for the Troubled Asset Relief Program where he handled complex bank fraud and mortgage loan modification frauds perpetrated by those individuals abusing the bailout program aimed at stabilizing the US economy.